Disco has always gotten a bad reputation. Such a bad reputation in fact, that in 1979 the U.S. held the now infamous disco demolition night at a baseball park in Chicago. Kevin Parker, the main songwriter and recorder of Tame Impala knows this on a much smaller scale. Growing up in Australia, Parker was fascinated by dance music. But when his two brothers walk in on him listening to the misunderstood genre, they asserted this wasn’t the type of music he should be listening to. So, he stopped and created the psychedelic rock outfit, Tame Impala. Then somewhere in that journey, Parker realized something, as he recounted to Entertainment Weekly: “I accept that as long as you do what you want and what you think is cool and righteous, then it’ll be real.” So, on his band’s third full-length album, Currents, Parker finally indulges his love of dance music; the forbidden fruit of disco. Music fans should be glad he did, because it might just be the band’s best record yet. On their last albums, Lonerism and Innerspeaker, Parker and Tame Impala only worked within the psychedelic rock realm. And at times, he got trapped there. Languishing in long, drawn out guitar-driven soundscapes over chilled out vocals that sometimes seemed like only Dead Heads and stoned hipsters could appreciate. Disco, its electronic drumbeats and pop song structure ground him. It shows how innovative a songwriter he can actually be within something so traditional. This is shown best in the final track on the album, “New Person, Same Old Mistakes.” Here, Parker combines a structured, base-heavy drumbeat with a funky baseline and acoustic guitar picking reminiscent of a banjo. If that sounds crazy, just wait until the end of the song, where he introduces a top-40 worthy synth melody. It shouldn’t work, but it does. Then, there are the weird and wobbly alien-like synths of “Nags” that when combined with the sentimental string arrangement, creates an atmosphere of floating in zero gravity. Meanwhile, “The Moment” has a great classic bounce with piano-like synths and finger snaps that might make you want to dance down the street like you are in an iPod commercial. The standout song of the album is by far and away, “Past Life,” where Parker talks to the listener in a warped deep voice. He recounts he was “Somewhere between a lover and a friend / It was different back then” and he made himself forget “sounds and smells”: “a cheap solution to a regret.” Then the chorus kicks in, a lamenting in harmony of a past life. This song also confirms that at its core, Currents is a breakup record. The most cliché of all pop album clichés. But it’s so wonderfully put together you don’t even care. 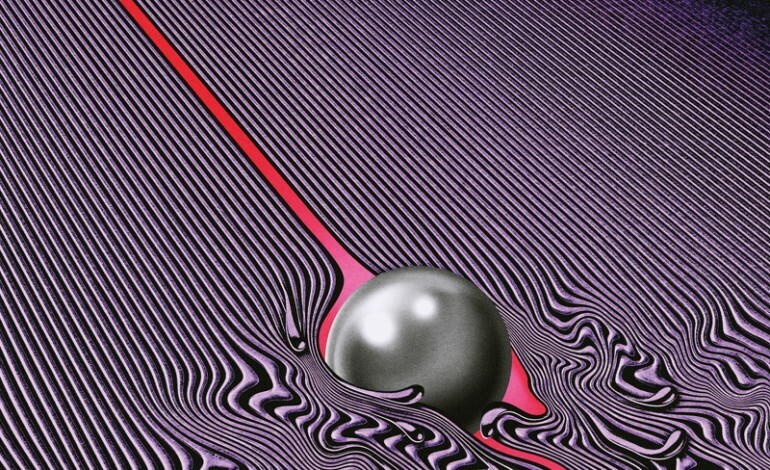 Some loyal Tame Impala fans might be worried this album is too much of a departure from the band’s other works, but not to fret. Parker holds it all together with his signature effects-laden vocals that are laid back, but never apathetic. On the album’s fourth song, “Yes I’m Changing,” Parker asserts, “Yes I’m changing, yes I’m gone / Yes I’m older, yes I’m moving on / And if you don’t think it’s a crime you can come along,with me.” Go with him. It’ll be one of the best rides you take all year.